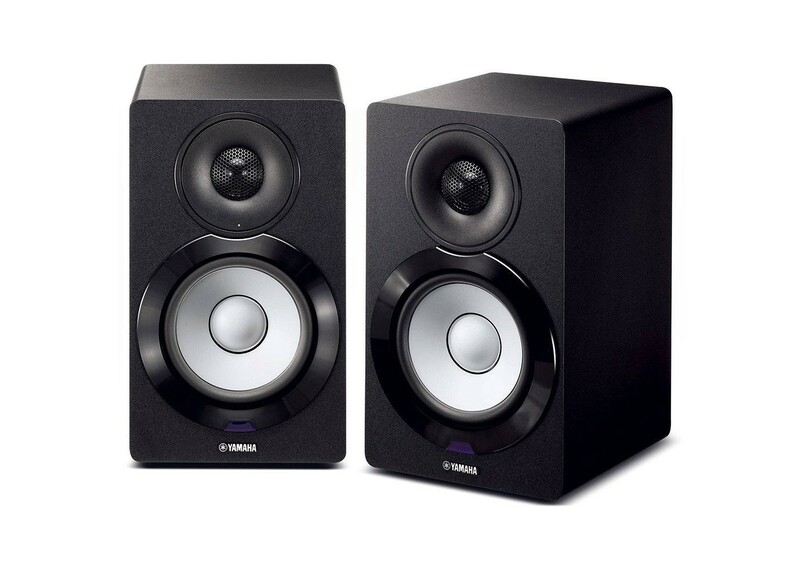 Inheriting the precision of the classic NS-10M studio monitors, the NX-N500 is a modern monitor that boasts musical expressiveness exceeding its class. By repeatedly evaluating the tuning of the left and right speakers at 2-3 m audition position intervals, it achieves stereophonic expression that liberates the true feeling of the music — smooth and immediate vocals, a sense of the body of the melody instrument, a solid backbone to the sound and high density audio data. Seize the most from the music on your PCs, smartphones and tablets. The NX-N500 is a powered bookshelf Hi-Fi system that utilizes an all-new speaker design that fully appreciates high-resolution audio sources. Take advantage of a full-spec USB DAC function with your computer, watch TV or Blu-ray Discs through the digital audio input or wirelessly stream and hear all your content with MusicCast and Bluetooth support. The power amplifier is critical to powered speakers. The NX-N500 utilize a discrete bi-amplification system featuring a 45 W amplifier to the woofer and a 25 W amplifier to the tweeter. These analog amplifiers produce strong, expansive sound by directly driving each unit individually while maintaining the feeling of a high signal-to-noise ratio. In principle, balanced transmission cancels the external noise that becomes mixed with the signal during transmission. In the NX-N500, all digital audio input signals undergo a balance conversion in the L-channel speaker before being transmitted to the R-channel speaker. An XLR cable is used to establish balanced connection between the two speakers and this approach thoroughly eliminates noise. With a 2-way speaker configuration, the NX-N500 utilizes a 1" dome tweeter capable of handling 40 kHz high-bandwidth playback in order to reproduce the rich amount of audio information unique to high-resolution sound sources. By incorporating a thick waveguide it achieves smooth and accurate high-frequency reproduction. The 5" woofer employs the same new advanced PMD (Polymer-injected Mica) diaphragm used in the high-end Soavo speakers from Yamaha. The NX-N500 has a high performance USB DAC that supports PCM 384 kHz / 32-bit and DSD 5.6 MHz native resolutions. It is compatible with asynchronous transmission and produces low-jitter by using its own master clock versus using the clock in the PC. It also makes use of an ASIO driver that achieves lower latency and higher throughput. Along with Windows PC compatibility, it’s also compatible with MAC OS* Integer Mode that allows for 32-bit playback on Apple computers. The digital-to-analog (D/A) converter — the ES9010K2M from ESS Technology, Inc. — offers high-precision processing of 32-bit audio and the ability to handle large amounts of audio data (PCM 384 kHz, DSD 5.6 MHz). Since the built-in D/A converter generates its own master clock, an original jitter-elimination function is also included. This allows for the D/A conversion to experience an extremely low impact of clock jitter. Enjoy music from your smartphone or tablet wirelessly using a Bluetooth connection. You can also use the convenient AirPlay function for wireless music streaming from iPhone or iPads. In addition, a Network Standby mode provides the convenience of having the NX-N500 turn on and off automatically. The NX-N500 is equipped with Bluetooth functionality to let you easily enjoy wireless music playback from smartphones and other devices. The Compressed Music Enhancer from Yamaha is now optimized for Bluetooth audio transmissions to ensure that your music will have vivid, lively sound quality during wireless playback. Use your smartphone or tablet together with the MusicCast CONTROLLER app to operate the speaker and change settings quickly and easily. The same app functions as a two-way remote control for all your MusicCast compatible devices too. Enjoy support for music streaming services like Pandora, Spotify, Rhapsody and SiriusXM Internet radio means you’ll enjoy a wide variety of music content. Furthermore, support for the vTuner radio station database enables sampling of Internet radio broadcasts from around the world. The front of the speaker provides an LED display indicator that is color coded by operating status: orange for ECO Standby mode, green for network function, pink for AirPlay and sky blue for the USB DAC function. Remote control allows easy performance of basic functions such as power on/off and audio source selection. Optical digital input compatible with 192 kHz / 24-bit audio codecs. Dimensions (W x H x D): 6-3/4" x 11-1/4" x 8-3/4" , (Left speaker) 11/16" x 11 1/4" x 9 3/8"
Weight: (Right speaker) 12.6 lbs., (Left speaker) 13.8 lbs.